Dolce Vita Quartzite countertops are a brilliant and stunning countertop. 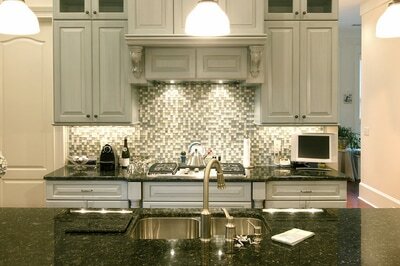 These countertops are generally a stunning white and ivory stone with softer tones of gray and peach. They present a regal and elegant look that will take your breath away. They are a different level of home beauty that most people rarely see. 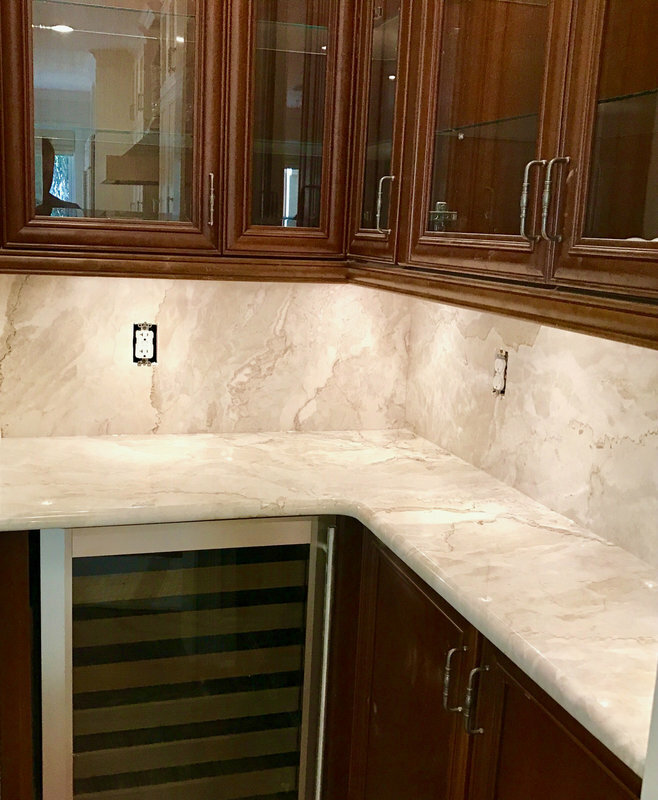 At Stone World, we install these quartzite countertops in Orlando for residential as well as commercial clients, and the richness they will add to your decor will be exceptional. Quartzite is a very heavy stone, so it must be installed by professional installation teams and licensed and insured contractors. 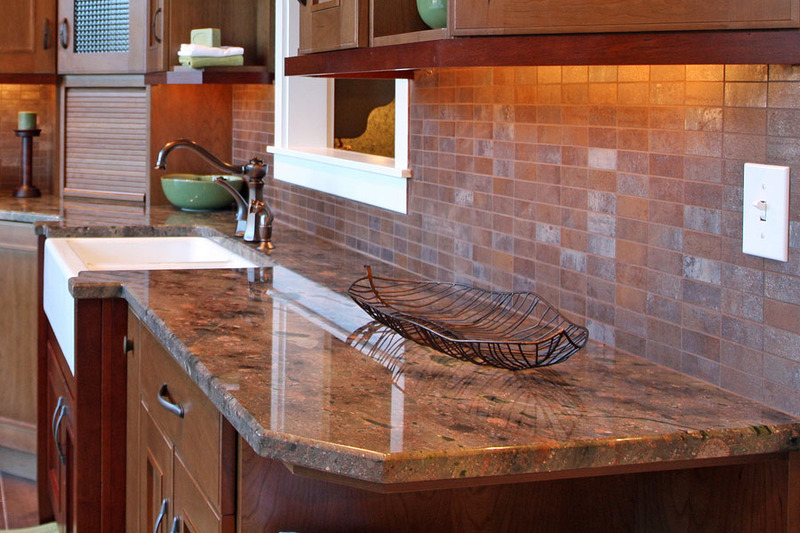 At Stone World, we have all of these qualifications, as well as many years of experience installing these natural stone countertops. Our attention to detail and focus on our customer's vision is how we separate ourselves from many of our competitors in the Orlando market. This is what we do on a daily basis, and we service the greater Central Florida area to include Orlando, Lake Mary, Maitland, Windermere, Apopka, and more. We will carefully inspect each slab to ensure that it meets our high quality standards, so you can be assured that you are receiving the highest quality natural stone in the market. As a natural stone fabricator in Orlando, we have built a reputation in providing the highest quality work and installations, while always at competitive price. Our clients range from median income families all the way up to the most well known celebrities, professionals, and business people in town. We treat every job with the same attention to detail and the same high quality standards to make sure every customer is 100% satisfied. 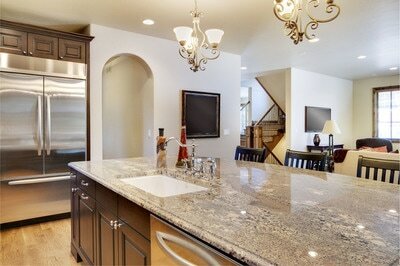 Call Stone World today at 407-341-4688 for a free estimate. Our team of natural stone fabricators can answer any questions that you might have, as well as advise you on the many options for Orlando kitchen countertops.